﻿ EURO 2012 » Tickets for Euro 2012. Another ticket lottery soon! EURO 2012 > Euro 2012 > Tickets for Euro 2012. Another ticket lottery soon! June 20 will be the last day for payment for the tickets for Euro 2012 – this concerns those fans whom UEFA has extended the term of payment. Tickets of those supporters who will not pay for them will go to a special lot and will be used for the next lottery again. If you still dream of seeing the Polish national team on live, be patient! You still have a good chance in a random selection. More than 12 million fans tried to get the tickets for the European championships. Nearly 90% of the entries came from Poland and Ukraine. From the time of receiving a confirmation of being chosen to get a ticket fans had one month to pay for the admission cards. However, there were people who did not receive a message (a letter) from UEFA concerning the payment method. UEFA has changed the date of payment for tickets for them until June 20. Standing tickets for fans who could not benefit from the selected tickets, or who were not able to pay for them will be used for draw again. UEFA will create a special lot for them. Thus, those fans who unfortunately missed the first draw will be able to take part in the next lottery. We do not know how many tickets will be in the second draw. We also do not know when the lottery will be held. The excess of happiness had bad effect on many fans of the Euro 2012. In April a simulation was conducted. This showed that it was easy to draw a package of tickets worth over 4000 PLN! After that, editors of Sport.pl received several letters from fans who had been given more than one standing tickets. One of the internet users showed us that she is the record-holder – she drew 24 tickets for the tournament, while her roommate as many as 32 tickets! A lot of fans who drew too many tickets were not able to pay for the tickets. Their bad luck may be a chance for other fans. We still do not know when will it be possible to apply for tickets from the lot of the Polish Football Association and when the draw will be held. 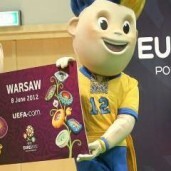 However, it does not change the fact that for fans it is another way to win the coveted tickets for the Euro 2012. Every fan who applied for the tickets for Euro 2012 will have the right to purchase entrance cards for the match he wants via the ticket exchange site on the UEFA website. Those fans who won tickets in the first draw of the lottery and did not pay for them, will be able to resell the tickets at a nominal price. The website will be ready for use in July. Every fan will be able to check whether tickets for the matches he is interested in will be for sale or not. Thus, the main slogan for the fans who will be looking for interesting offer will be “first come first served”. It should be noted that a large number of tickets were given to the Euro 2012 sponsors who offer tickets through participation in competitions. what are you on about. everyone dont get ripped off by these cowboys!!! the UEFA website has a resale section. there tickets on there for 70 euros e.g. engalnd v ukraine for 70 euros. also both semi finals 150 euros and 2 of the quarter finals 80 euros, plus a few more matches. this resale section is closed that the end of feburary though!!!!! it is terrible to see these websites like this one ripping people off by so much “13400 euros” unbelievable!!!!!!!!!!! 4 x Poland Follow My Team Group tickets category 3 to the highest bidder. You can pick them up anytime in a public place in Warsaw.